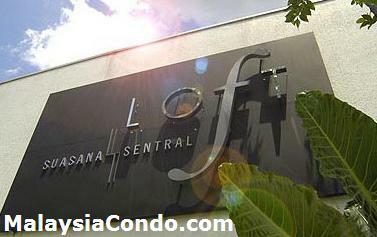 Suasana Sentral Loft located in Kuala Lumpur, within the proximity of Sentral Station. The Loft offers a 'live, work and play' lifestyle within the metropolitan enclave. Suasana Sentral Loft consist of two towers (Tower A & B) with a total of 600 freehold units range from 811 sq ft to 2,961 sq.ft. Facilities include 50m infinity pool, pool deck, playground, outdoor fitness centre, meeting room, management office, reading lounge, BBQ pits, pavilions and reflection pool, function rooms, gymnasium.